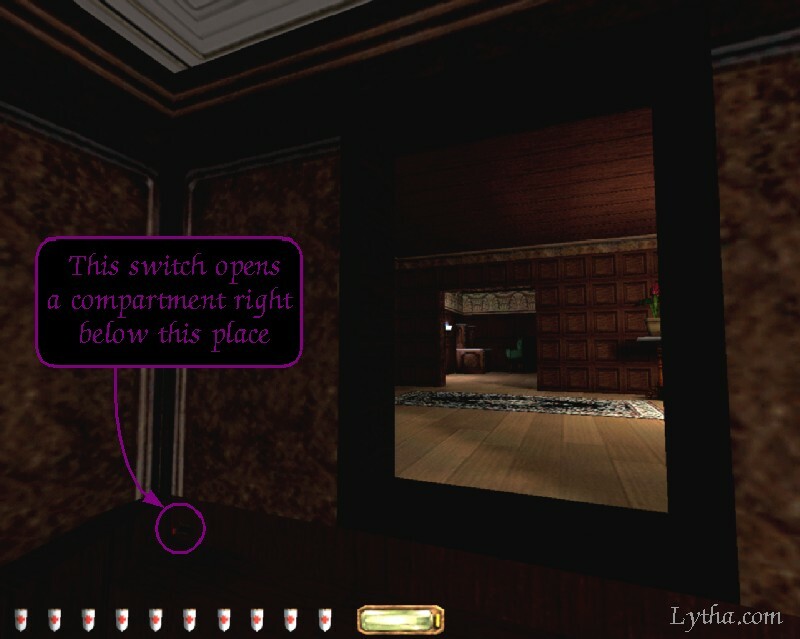 This is a list of the secrets in the Mission "First City Bank and Trust" in the game "Thief II: The Metal Age" by Looking Glass Studios at Lytha.com. 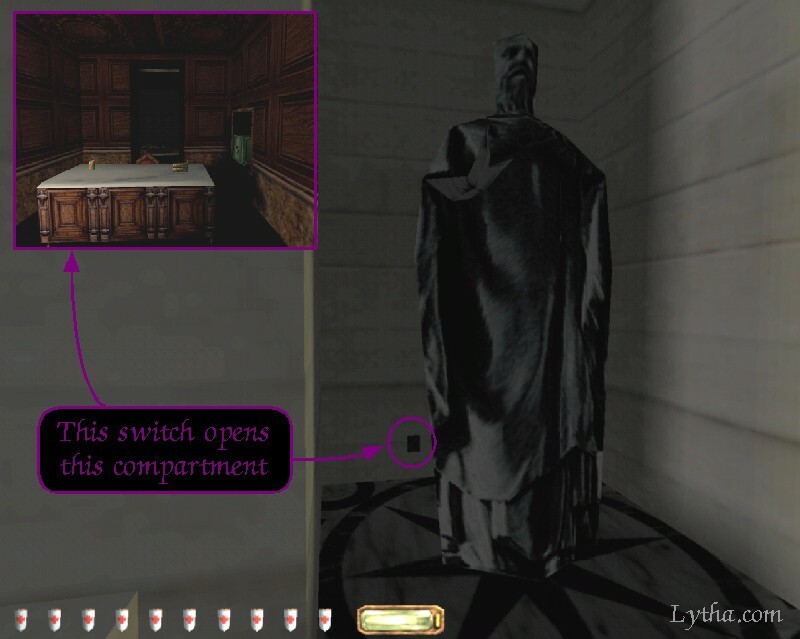 This list contains all the secrets as they can be found in the version 1.18 of Thief II. Secret objectives -as far as they are known so far- are also included in this list. To enlarge the screenshots for a better view, click on them. List of the Secrets in "First City Bank and Trust"
The Hollow Balcony 1 2nd floor, SE In the room with the harp is a wooden balcony. At the wall of this balcony is a small switch. Pull it, and hop back into the room with the harp. You will see now that there is an opening under the balcony. Your prize are 4 moss arrows, 1 healing potion and 1 speed potion. The Statue Hall 2 3rd floor, E In the Hall of Statues is a switch hidden behind the 2nd statue to the left (coming from the N). This switch opens a secret compartment in the office in the very E of this floor. Your prize is a welcome feeling of creepyness and also a small golden ring.